Like minded people can, and will gravitate towards each other! When this occurs radical new ideas can develop quickly and become more widely accepted, having a long term impact on our set of expectations. The Mogul believes that Kitchen Design is a functional art form impacting individuals on a sensory and spiritual level; it is therefore encouraging to find another group of people who have a similar ethos! 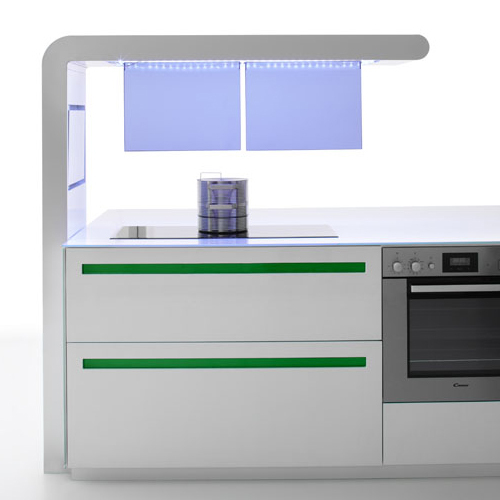 MOKA or Modern Kitchen Art developed the Superma range with flexibility and efficiency in mind but what makes this kitchen different is the fact that the designers have released the power of light! 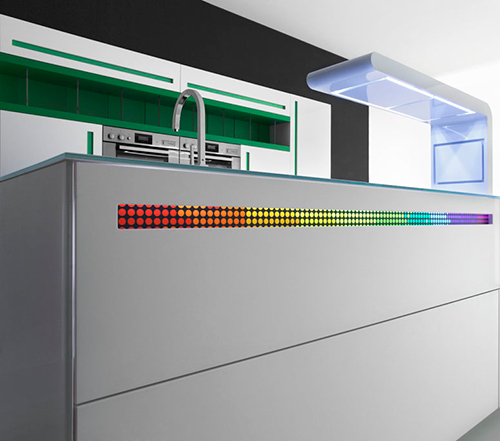 Translucent materials and Led’s allow this kitchen to explore the interactive possibilities of not actually being used. 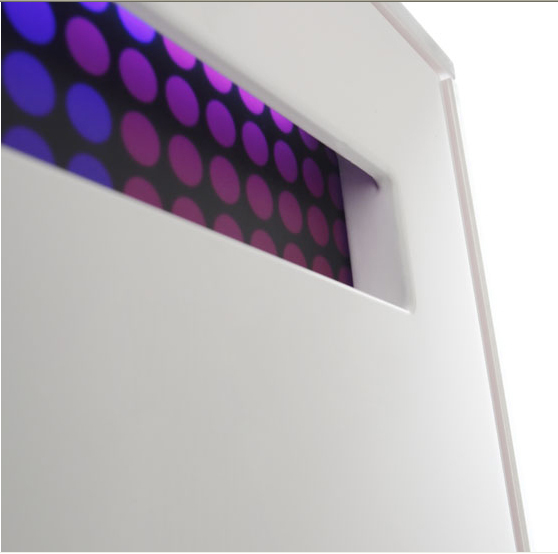 When in standby the kitchen can become intrusive or invisible and it can also complement the surrounding architecture and the personal lifestyle of the user. 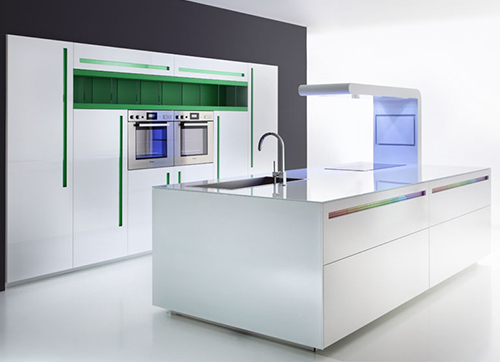 Kitchen Design is evolving into a multi-levelled design discipline that can deliver functional satisfaction and even companionship to the user. The Mogul is delighted to be part of this movement!